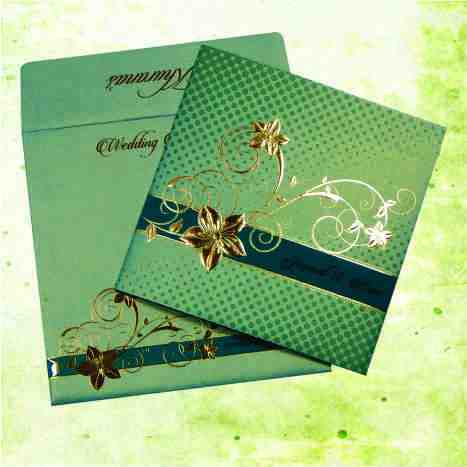 ENVELOPE : Dark Gold Color 250 gsm Shimmery Finish Paper. MAIN CARD : Dark Gold Color 250 gsm Shimmery Finish Paper. with Self texture and Foil Printing. Main Card has wooden laser cut initials.